Tim Overstreet knows that people have a lot of stereotypes for the homeless – panhandlers, alcoholics, drug users and the mentally ill, but it’s not always the case. Tim served in the Navy for 12 years, followed by a 13-year career in administration where he made good money. Then, suddenly a hostile takeover of the company landed him out of a job when they eliminated his position. 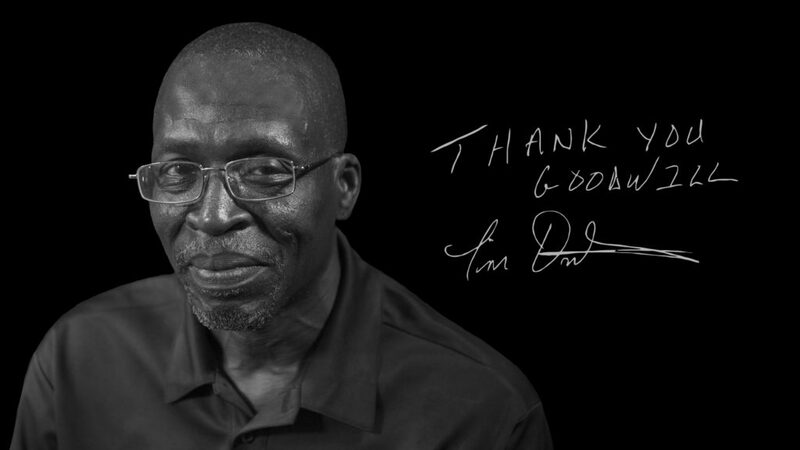 In November 2008, Tim found himself a homeless veteran, living at the Salvation Army, when one of the counselors at the Day Resource Center told him that Goodwill had a career school, The North Texas Institute for Career Development (NTI) and a scholarship program. He applied for the scholarship and was accepted into the Administrative Assistant program at NTI. Upon graduation from NTI, he joined Goodwill on May 3, 2010 as Administrative Assistant for NTI. Initially, he was hired part-time but in two months’ time, became full-time. In this role, he conducted student orientation, maintained files and billing. It should be noted that during this time he was instrumental in assisting students enrolling in the CDL Truck Driver Training Program, scholarship review, and support. In January 2016, he was reassigned to the position of Intake Specialist supporting various programs such as Open Placement (in which some clients were homeless) and Goodwill’s VetWorthy program. In September 2016, he was assigned to work directly with the homeless in the Goodwill Works Program and in January 2017 was assigned to the new True Worth facility continuing to support the homeless in their initiative to find work. Since September 2016 Tim Overstreet, and the Goodwill Works team, have assisted 2,814 clients through the program at locations including his permanent office at True Worth Place, the city’s new day center for the homeless. With his unique background, and willingness to share his story, Tim is able to connect with Goodwill’s homeless clients and encourage them through his own success story.